It’s not quite Bordeaux, or Marlborough. Of course, not. But, Nashik, Baramati and, of late, Solapur are home to some fine winemakers. 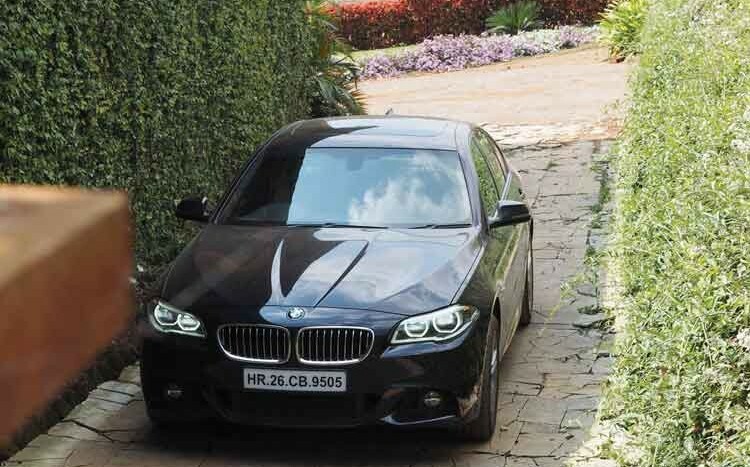 Last month, we got behind the wheel of the world’s best sedan, the BMW 5 Series, and pointed its nose at Maharashtra’s vineyards. The 800-odd-kilometre round trip involved smooth expressways and rutted roads and it passed through and along teeming towns and sugarcane and grape farms. The BMW’s immensely powerful 258bhp diesel motor made the drive involving, but there was also the landscape awash with many different colours: the promising blue of an uninterrupted horizon, the Van Gogh yellows of late winter and the becalming green of the countryside. And, then, there were the wines, some of which are exceedingly fine. One of these weekends, just before summer sets in, we recommend you get into your car and escape Mumbai’s suffocating confines. Here is a quick guide to some of the stellar wineries in the region. 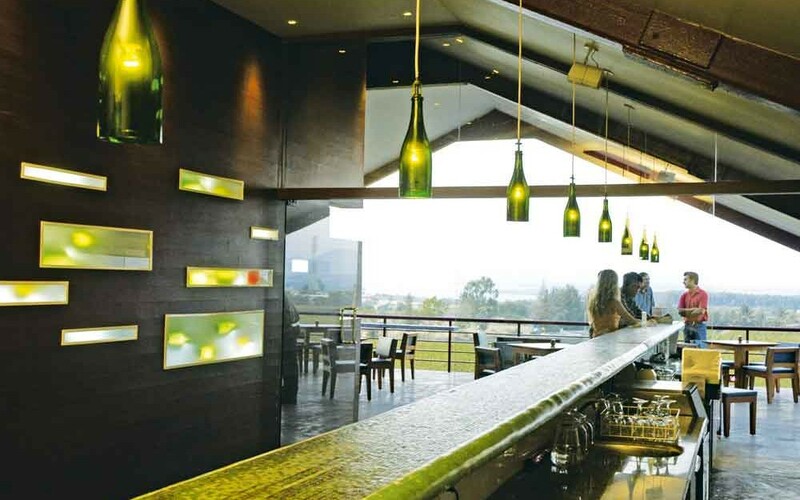 Even if you turn your nose up at Indian wines, you’ll still like to spend time at Sula’s Beyond resort, in Nashik. The plush property, set amid vineyards and about a five-minute drive from the winery, affords great views of the pale-blue Gangapur Lake and brown hills beyond it. The vineyards (that you can see from your room) are not where Sula’s grapes come from, though. The bulk of the grapes are cultivated at Sula’s 1800-acre farm in Dindori. The restaurants at Beyond, and the Tasting Room, which is located right above the winery, are excellent places to spend time in, and Sula conducts professional winery tours (go on, there’s always something new to learn about wine). And, oh, there’s just one more thing you should do: pick up a bottle of Sula’s riesling. It’s our favourite Sula, and, as you begin to quaff it, you’ll wonder why you spend a bomb on atrocious, imported table wines with fancy labels. There are grape varieties more popular than the tempranillo, which is grown in northern Spain. It’s full-bodied and savoury rather than sweet. But, the folks at Charosa Wineries, which recently launched its first batch of wines, feel that there’s a market for wines such as this. “Most Indians appear to like sweeter wines, but we think there are evolved wine drinkers looking for a drier wine like the tempranillo,” says winemaker Ashok Patil. 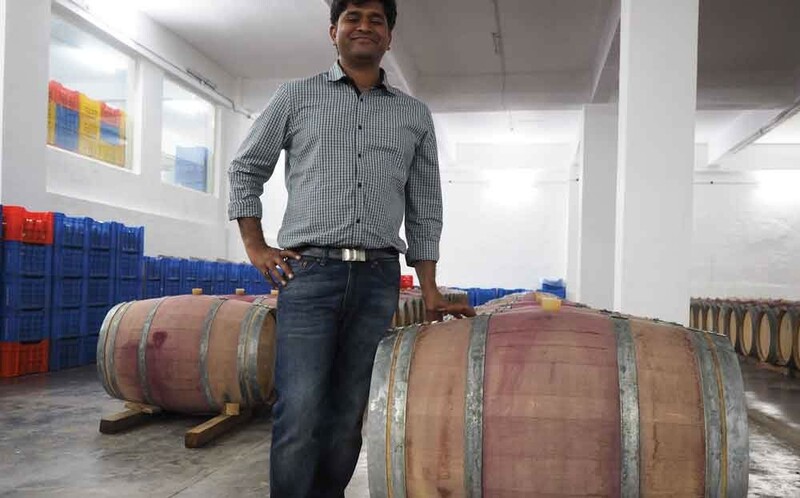 Patil and his team work out of Charosa’s state-of-the-art winery in a village of the same name, in Dindori, near Nashik, a five-minute drive from their sprawling vineyards. Charosa’sTempranillo (2012 vintage), which is aged for a year in French oak barrels, is a robust wine with a bold nose, and is perfect for sipping while seated in an armchair. We think it’ll go well with some pungent cheese. Charosa’s range also includes a cabernet sauvignon, cabernet shiraz and viognier. The road from Nashik to Charosa village is a narrow, winding one that passes through small villages and grape farms, and the landscape is of the gently undulating kind. The winery plans to construct a resort overlooking its vineyards, but don’t let the lack of accommodation stop you from pencilling in a visit into your route. The people there are friendly and welcoming, the scenery stunning and the wines excellent. 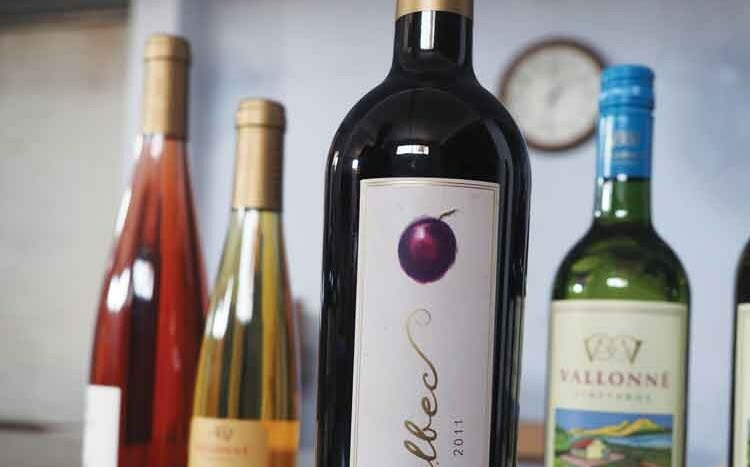 Vallonné Vineyards is located in little Sanjegaon, off the Mumbai Nashik expressway. Vallonné, which means ‘undulating’ in French, is a boutique winery that makes about 50,000 bottles a year. 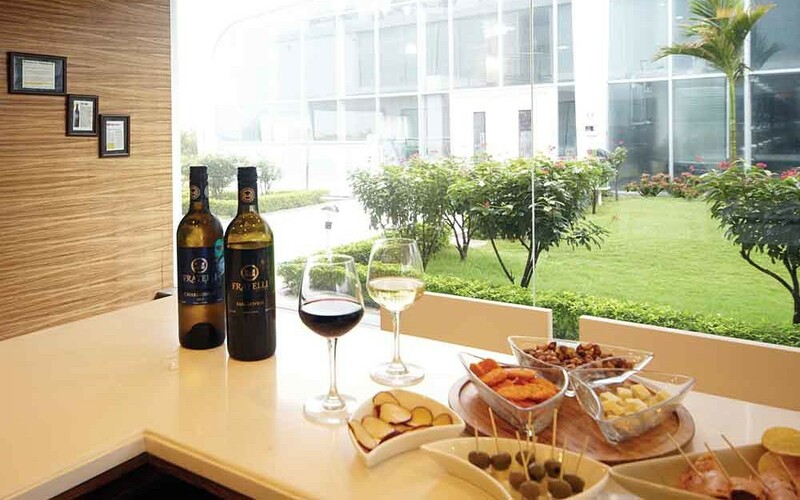 Like Charosa, it, too, has plans to open a restaurant and a hotel, but, until then, its malbec is reason enough for you to make the 30-something-km detour off the Expressway. Malbec is grape variety native to France and one of the country’s noble grapes, but it came into its element in Argentina in the late 1800s. Vallonné’smalbec is a rich, deep-purple red wine and has a sweet finish. In 2007, Fratelli was started by three pairs of brothers — the Seccis, the Sekhris and the Mohite-Patils — in Akluj, about 170 km from Pune. The promoters hired the considerable talents of Italian winemaker PieroMasi, and, over time, the vineyards have delivered some stellar wines. There is the FratelliSette, which is among the best red wines you can buy in India, and, among others, the light-bodied sangiovesebianco. Fratelli also has a swanky guesthouse at Akluj, next to the winery, which is a great place to retire after a day of sniffing, spitting and imbibing the fresh, fruity wines. We’re not familiar with Four Seasons’s offerings, but it appears to be making good wines. In January this year, its Barrique Reserve Shiraz 2008 was rated the best Indian wine of the year along with Grover La Reserve 2010 at a blind tasting organised at a Vinexpo event. Four Seasons sells its wine overseas under the Ritu label. A wine rated exceedingly good by an international panel is motivation enough for a quick dash to Baramati, but there’s more good news. The Four Seasons winery,modelled on a French chateau and comprising 14 suites, will soon start hosting guests.